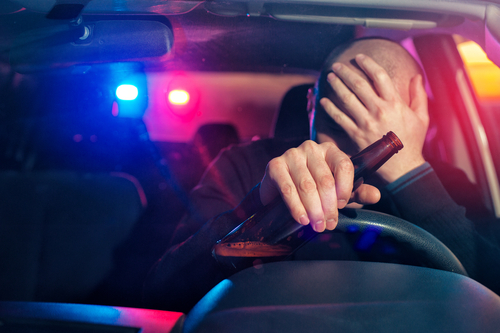 Driving under the influence is a serious issue in the state of Wisconsin. This affects not only the person driving while impaired, but also innocent people on our roadways. The below subjects are repeat OWI offenders arrested or sentenced in November 2018. What is drunk driving in Wisconsin? Driving while under the influence of an intoxicant, including alcohol, legal prescription medications, illegal/controlled drugs, or other chemical substances. Driving with a detectable amount of any controlled substance in the blood stream. Driving while under the influence of a controlled substance or any other drug. If you are placed under arrest and refuse to give a blood or breath sample when asked, you can incur additional penalties - losing driver's license, possible jail time, and monetary fines. First conviction penalties are geared toward educating the person and changing their habits. Second and subsequent offenses do not have the same leniency. Fines, license suspensions, and driving record points increase for each additional conviction - and include mandatory jail time. Not to operate vehicle without valid license. No alcohol. No presence in taverns/liquor stores. SCRAM to be installed. $7,500 Cash Bond set. SCRAM to be installed prior to release. No alcohol. Not to operate vehicle without valid license. No presence in taverns/liquor stores. $1,000 Cash Bond. Consume no alcohol. No presence in taverns/liquor stores. Not to operate vehicle without valid license. SCRAM device to be installed prior to release. $2,500 Cash Bond set. Not to operate vehicle without valid license. Consume no alcohol - SCRAM to be installed prior to release. $2,500 Cash Bond set. SCRAM to be installed prior to release from jail. No consumption of alcohol. No presence in taverns/liquor stores. No operation of vehicles without a valid license. $500 Cash Bond set. Consume no alcohol. No presence in taverns/liquor stores. Defendant not to operate vehicle without a valid license. $500 Cash Bond set. Consume no alcohol. No presence in taverns/liquor stores. Not to operate vehicle valid license. SCRAM device to be installed prior to release. 8/24/18 - Cash Bond Conditions Modified - removed SCRAM device with continued testing, defendant allowed to continue to work at local bar. $1,500 Cash Bond set. Consume no alcohol. No presence in taverns/liquor stores. Not to operate vehicle without valid license. SCRAM device ordered. $5,000 Cash Bond set. Consume no alcohol. No presence in taverns/liquor stores. Not to operate vehicle without valid license. SCRAM device ordered. Sentence - 1 year State Prison, 2 years Extended Supervision, 1.5 years License Revoked & Ignition Interlock Device consecutive to any sentence now serving. $5,000 Cash Bond set. No contact with victim. No presence in taverns/liquor stores. Consume no alcohol. No presence in taverns/liquor stores. Not to operate vehicle without valid license. $10,000 Cash Bond set. Pharma Patch to be installed prior to release. Maintain absolute sobriety. No operating a vehicle without a valid license. Sentence - 1 year State Prison, 2 years Extended Supervision, 3 years License Revoked & 1 year Ignition Interlock Device consecutive to any sentence now serving. $2,500 Cash Bond set. Not to operate vehicle without valid license. No alcohol. No presence in taverns/liquor stores. $2,000 Cash Bond set. SCRAM device to be installed prior to release. Consume no alcohol. No presence in taverns/liquor stores. Not to operate vehicle without valid license. $750 Cash Bond set. No alcohol. Not to operate vehicle without valid license. No presence in taverns/liquor stores. SCRAM device to be installed prior to release from jail. 12/11/17 - $750 Cash Bond posted with Sheriff. WI Lock & Load installed SCRAM device. $2,500 Cash Bond set. Consume no alcohol. No presence in taverns/liquor stores. Not to operate vehicle without valid license. SCRAM to be installed prior to release. $7,500 Cash Bond set. Absolute sobriety. Pharma patch to be installed prior to release. Consume no alcohol. Not to operate vehicle without valid license. $10,000 Cash Bond set. Consume no alcohol. No presence in taverns/liquor stores. Not to operate vehicle without valid license. $5,000 Cash Bond set.Consume no alcohol. No presence in taverns/liquor stores. Not to operate vehicle without valid license. SCRAM device ordered. $5,000 Cash Bond set. No alcohol. Not to operate vehicle without valid license. No taverns/liquor stores. SCRAM device to be installed prior to release. 10/24/2017 - $5,000 Cash Bond posted with Sheriff. $1,000 Cash Bond set. No alcohol. No presence n taverns/liquor stores. $7,500 Cash Bond set. Absolute sobriety. Pharma Patch to be installed prior to release. Not to operate vehicle without valid license. No presence in taverns/liquor stores. $800 Cash Bond set. Consume no alcohol. No presence in taverns/liquor stores. Not to operate vehicle without valid license. SCRAM to be installed prior to release. 8/28/18 - $800 Cash Bond posted with Sheriff. Placed on SCRAM device. 11/30/18 - Sentence begins; details not available. $1,000 Cash Bond set. Consume no alcohol. No presence in taverns/liquor stores. Not to operate vehicle without valid license. $850 Cash Bond set. SCRAM prior to release. No alcohol. No taverns/liquor stores. Not to operate vehicle without valid license. 9/4/18 - $850 Cash Bond posted with Sheriff.